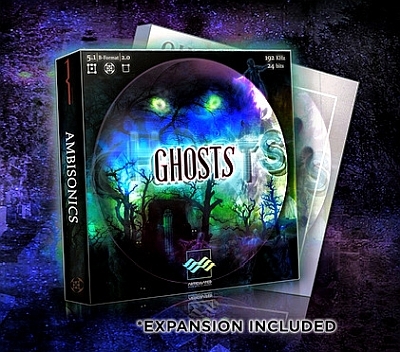 Ghosts contains an exciting collection of creative sound elements and sound atmospheres on the border of life and death. This unique sound library is an excellent choice for ghostly haunted sounds intended for cinematic and game elements. It provides "ready-to-use" sound effects designed for HD, and has 20 atmospheres and 125 sound elements.